Houston, TX – Not too long ago, someone asked me which city killed the most shelter pets. I know, a macabre question. Unfortunately, considering my advocacy work at No Kill Houston and Houston Voters For Companion Animals, I am forced to consider these types of macabre questions way too often. Over the last 7+ years, I’ve done some research into the kill rates and numbers in other communities, so my first thought was that the answer is Houston is the Biggest Loser when it comes to the sheer numbers that our “shelters” kill. (I should say that shelter pets in Houston are the biggest losers since they are being killed in astronomical numbers). But, was my guess right? I decided to research the numbers to find out. Houston has, within its city limits, FIVE kill shelters who, according to the most recently available statistics, kill approximately 80,000* pets every year. I actually believe that the number is probably higher than 80,000 because I’ve talked to many former Houston SPCA employees and volunteers over the years and I believe their kill rate has increased to around 80%** now. Also, some animal advocates, with access to more information than I have, estimate the number of pets killed by Houston area kill shelters to be closer to 100,000 now. But, we’ll use 80,000 since it includes the numbers produced by the “non-profit” kill shelters**. I am assuming that cities with larger human populations would mean a larger number of pets in those cities as well. And a larger number of pets would mean increased opportunities for pets to get lost or be abandoned etc. and therefore end up entering shelter systems and therefore at risk of being killed. So, I researched the three US cities with populations higher than Houston i.e. New York, Los Angeles and Chicago. What I found was startling. Houston has 5 kill shelters killing approximately 80,000* pets per year. There is a taxpayer funded city pound i.e. BARC; a taxpayer funded county pound i.e. Harris County animal control; and 3 “non-profit”, Limited Admission, “shelters” i.e. the Houston SPCA; the Houston Humane Society; and Citizens for Animal Protection (CAP). New York City has 3 “full service” shelters/pounds and 2 receiving stations (intake only) stations, one in each of the 5 boroughs. New York City “shelters” took in approximately 30,000 pets in 2014 and killed 5,700. New York has 6,251,521 MORE citizens yet they killed 74,300 FEWER shelter pets than Houston. Los Angeles has six kill shelters/pounds. The number of shelter pets killed during their fiscal year of July 2013 to June 2014 was 16,798. Los Angeles has 1 more kill shelter/pound than Houston. LA has 1,689,306 MORE citizens yet they killed 63,000 FEWER pets than Houston. According PawsChicago’s website, Chicago is home to “three large traditional kill shelters” i.e. Chicago animal Care and control and 2 other facilities. 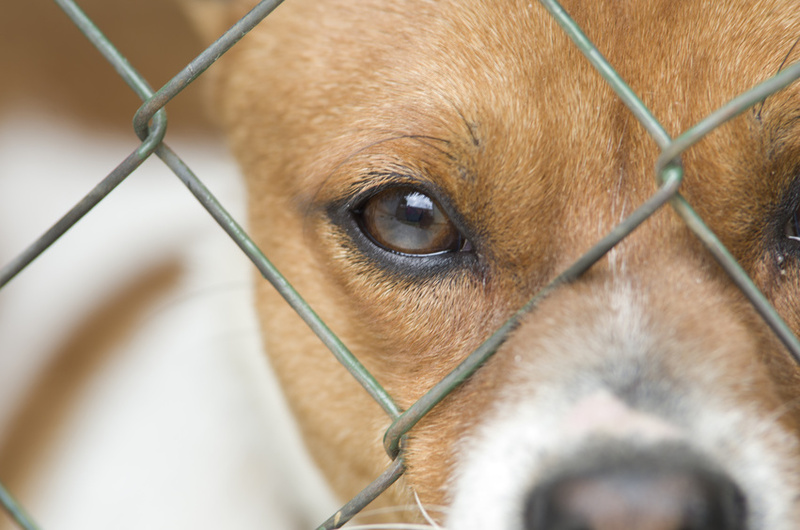 These 3 facilities killed 9,817 pets in 2014. Chicago has 482,831 MORE citizens yet they killed 70,000+ FEWER pets than Houston. So, all of the cities, with higher populations than Houston, killed fewer shelter pets. And not just a few. We are talking tens of thousands FEWER shelter pets killed in each. As I have said before, Houston We Have a Problem…. a big, big problem. That problem is regressive “shelter” directors in Houston who refuse to implement the life saving programs of the No Kill model of sheltering, and who continue to make Houston the pet slaughtering capital of United States. Note: I do not normally like to compare Houston kill shelters to other kill shelters. If the intention is to improve, why compare a kill shelter to other kill shelters, who are performing horribly by killing thousands of shelters pets as well? If shelters hope to become successful, they should compare themselves to the best performing shelters. However, I did this comparison as way to emphasize just how horribly Houston kill shelters are performing. *It’s impossible to know the exact number of pets killed in Houston, at this time, because the three “non-profit” kill shelters i.e. Houston SPCA, Houston Humane Society and Citizens For Animal Protection (CAP) refuse to be transparent and refuse release their intake/outcome records (I’ve asked them for this information twice). **If the Houston SPCA’s Kill Rate is now lower than the 65%, as reported in the Mayor’s Task Force Report, and a number that we post on No Kill Houston’s website, it would be logical to think that this organization would jump at the chance to report lower kill rates to us. But, they don’t. They won’t even respond to me. ← The MOST important thing you can do to help shelter pets and it takes only a few minutes!